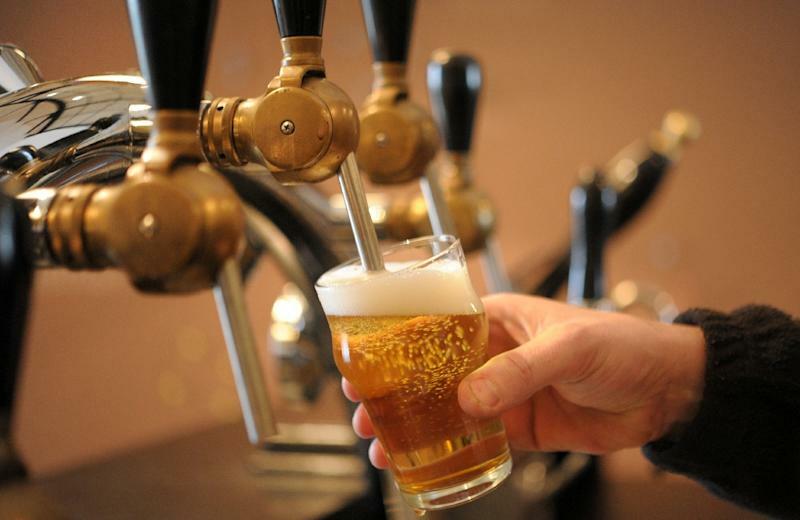 Paris (AFP) - Scientists in the US have created a more sustainable pint after discovering a way of getting the distinct hoppy taste into craft beer without the need for water-intensive hops. Researchers say the technique could reduce the beer industry's reliance on hops -- a thirsty and expensive crop -- and produce the consistent aroma and flavour all the rage among beer enthusiasts, including hipsters. In a paper published by the journal Nature Communications on Tuesday, scientists from the University of California Berkeley showed how they used DNA-editing software to manipulate the genome of brewer's yeast, splicing in genes from mint and basil plants as well as two from normal yeast. "We were able to use some of the tools others and we developed to accurately control metabolism to produce the right amount of hops flavours," said Jay Keasling, a professor of chemical and biomedical engineering at UC Berkeley. The results were so convincing that employees of the nearby Lagunitas Brewing Company, in taste tests, said the engineered beer tasted more hoppy than a conventionally brewed alternative. Scientists were told their genetically modified beer tasted of "fruit loops and orange blossom," with no discernible "off-flavours", Charles Denby, one of the report's authors, told AFP. The method was made trickier by the fact that commercial brewer's yeast has four sets of chromosomes, unlike the strains used in research labs, which typically possess a single pair. Researchers found they needed to add the same four genes to each chromosome set in order to create a stable yeast strain that would withstand the brewing process. Hops are extremely resource-intensive plants, with each pint of craft beer requiring around 50 pints of water just to grow the hops. "Further, lots of energy is required for processing, transporting and storing" hops, Denby added. "My hope is that if we can use technology to make great beer that is produced with a more sustainable process, people will embrace that," Denby said. The paper's authors plan to continue developing new yeast strains to produce a variety of smells and tastes, and are looking forward to sampling their research -- all in the name of science, of course. "Using the appropriate tools to control production of these flavours can result in a beer with a more consistent hoppy flavour, even better than what nature can do itself," Keasling said.